Caption reads: "Figure 1. 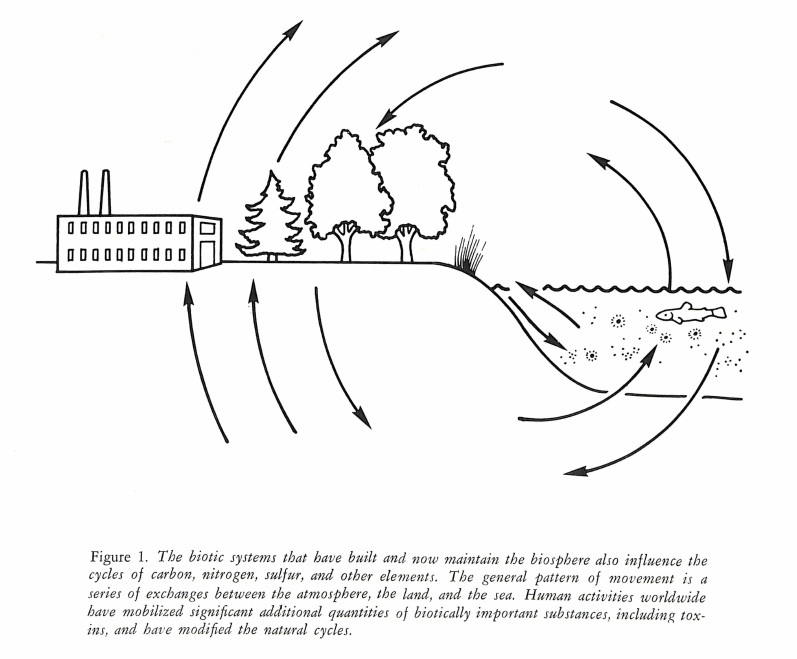 The biotic systems that have built and now maintain the biosphere also influence the cycles of carbon, nitrogen, sulfer, and other elements. The general pattern of movement is a series of exchanges between the atmosphere, the land, and the sea. Human activities worldwide have mobilized significant additional quantities of biotically important substances, including toxins, and have modified the natural cycles."